We’re not the only ones teaching skills and cultivating connection with the Earth. Fortunately, we’ve got lots of friends and allies who also share their talents and inspirations to help move human society back toward balance. Luke Cannon cultivates eco-literacy, sense of place and deep nature connection through experiential education and mentoring. This website promotes earthskills and primitive skills gatherings, events, schools and programs throughout the United States and beyond. Wildroots is a 30-acre earthskills homestead in rural western NC. 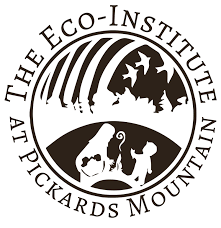 Its focus is on experiential learning and living, while practicing, developing and sharing primitive skills for rewilding and reconnection. Ancestral Knowledge is a school in the DC Metro area that offers adult and youth programs in a wide range of program topics from ancient living skills, survival and wilderness awareness to Earth-based philosophy and sustainable living. Nature and the wilderness are the classroom with the goal of connecting students with the ancient skills of our past. Information and resources to build your own low-cost, earth-friendly, high-efficiency home. This informative website includes methods, construction articles, and a building school directory. The Southeast’s oldest herbal studies school, ASHH offers holistic health education, career training, complementary care treatments, locally sourced herbal products, and a free library and resource center. For more than a quarter century, ASHH has been empowering people from all over the country to heal themselves, their families, communities and the planet. Blue Ridge School teaches students to see in a new way, using the vision of traditional cultures from across the globe including Chinese medicine, Ayurveda and native plant medicine. Ultimately that vision is this: Treat the person with the disease, not just the disease the person has. 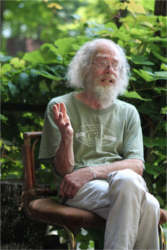 The Chestnut School of Herbal Medicine offers several comprehensive online herbal medicine programs, including an Herbal Medicine Making Course, the Herbal Immersion Program, and an herbal Foraging Program. Founded by a group of accomplished practitioners, Daoist Traditions College of Chinese Medical Arts strives to help restore the ancient traditions by sharing its clinical experience and passion for Chinese medicine. They offer a Masters Degree in Chinese Medical Arts, as well as a low-cost student clinic in Asheville. One Willow Apothecaries is a gathering place for Earth-nourished healing, handcrafted medicine and alchemical gateways of education. Offering classes and consultations in intuitive herbalism, healing consciousness and Earth magic, One Willow Apothecaries is founded on a deep belief in the multidimensionality of medicine. Offering full-service landscape and design solutions for anyone who wants to incorporate edibles and beauty into their garden, yard, or commercial property. Working with schools, individuals, and businesses, Yummy Yards is a permaculture-based company. EYG Landscapes (aka Edible Yard & Garden) designs and installs low-maintenance edible landscapes and rainwater harvesting systems. It incorporates fruit trees, berry bushes, perennial vegetables, culinary and medicinal herbs, cut flowers, pollinator plants and butterfly gardens. It has bases in Asheville, NC, and Decatur, GA, and thus works on projects all over North Georgia and WNC. 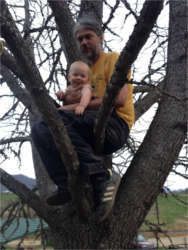 Eric is an arborist in the Asheville, NC area and a local consultant for tree removal, pruning and maintenance. Additionally, he has a portable saw mill and can locally mill lumber. Please email him at artisantreeworks@gmail.com or call (828) 318-6385. Mountain Gardens is a botanical garden featuring the largest collection of native Appalachian and Chinese medicinal herbs in the Eastern US, organically grown at the foot of the Black Mountains in Western North Carolina. It offers for sale: seeds, plants, fresh and dried herb material, tinctures, and other preparations. 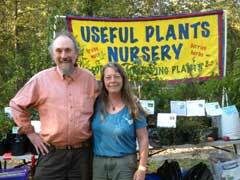 Useful Plants Nursery is a permaculture-based nursery specializing in useful, phytonutritional, food and medicine plants well-adapted to the Southern Appalachian mountains and surrounding bioregions. Its plants are grown without the use of synthetic pesticides at its nursery located at Earthaven Ecovillage.